The extra content included in the Dark Souls: Prepare to Die PC edition has been dated for console release. The Artorias of the Abyss expansion will be available as downloadable content on October 23rd for both the PlayStation 3 and Xbox 360 versions of the game. Finally! 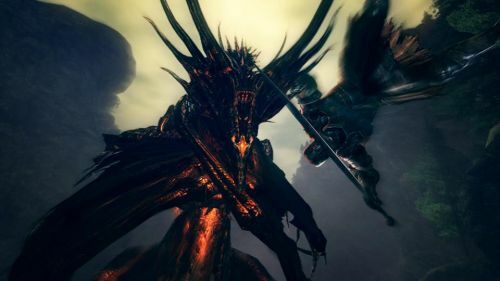 The Artorias of the Abyss storyline will include new enemies, bosses, NPCs, weapons, and armor. The DLC will focus on Oolacile and a growing darkness that threatens all of Lordran. The plot of Dark Souls is awfully abstract, so I don't know how much "story" will be included in the content. Exposition is usually left to NPCs, and I rarely have a clue as to what they're talking about. I'm am looking forward to killing and being killed by new monsters. Online matchmaking for PVP will be included, which is cool for the competitive crowd. Players will still be able to summon co-op partners into each other's worlds to aid them in the main quest. You'll need all the help you can get. Dark Souls is notoriously difficult, and this new content is not for the faint of heart. Dark Souls supports three player online co-op. The core game is out now on the Xbox 360 and PlayStation 3. The Dark Souls: Prepare to Die edition includes all the content and is currently available on the PC. The press release didn't reveal a price point, but the smart money says it will cost 1200 MSP, or $15. Console gamers can prepare to die again, and again, and again, on October 23rd.